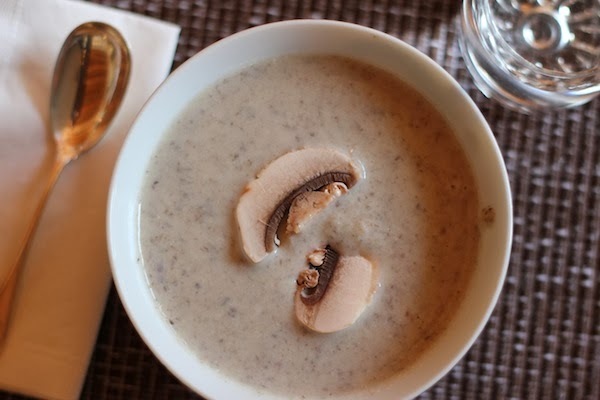 I'm so eager to tell you about this mushroom soup. I've made it four times in the past four weeks, which even for a soup lover like me seems a bit over the top. First, however, I have to tell you about the milk in it. 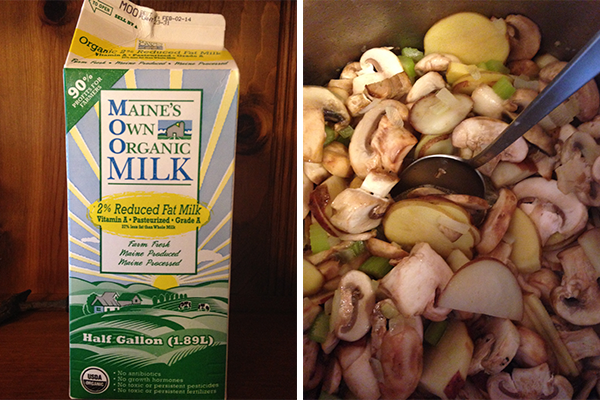 It's MOO—Maine's Own Organic—Milk. Isn't that a great name? It has a great story, too. In 2009, when 10 small organic farms in Maine were dropped by the national dairy processor HP Hood, the farmers had two options: sell their farms or join forces and try to preserve their traditional dairy heritage. They chose the latter and formed MOO Milk. It had a rocky start—the award-winning documentary Betting the Farm tells the story—but the small company with a big dream has made impressive strides. It's currently working on new packaging and new products, including...yes, chocolate milk! We've been buying MOO Milk for the past year and love it. It's available at every Hannaford and Whole Foods in the Northeast and at a few other grocery stores too. The milk reportedly travels a shorter distance from cow to cooler than any other organic milk in New England. It's also pasteurized at a lower temperature than other organic milks, which better preserves its nutrients and its taste. Which brings us back to the soup. It's wonderful—velvety smooth and full of taste—and so easy to make. What's more, it can be made with almost all local ingredients. There's the MOO Milk, of course, which I buy at Hannaford. I get the onions and potatoes at our winter farmers market, and also celeriac, which I often use instead of celery. For a special treat, I sometimes splurge and use fresh mushrooms from Oyster Creek Mushroom Company in Damariscotta (I can get those at the farmers market, too). Regular button mushrooms also work well, though. This soup is especially good on a bitter cold night—which may explain why I've been making it so frequently in recent weeks. As the wind whistles through the trees and the sky over Middle Bay Cove grows dark, we set the table, light the candles, and sit down to warming bowls of mushroom soup. Or maybe I should call it MOO-shroom Soup. This recipe, with a few small tweaks, comes from the original Moosewood Cookbook. You can make it richer by swapping cream in for the half n' half or some of the milk, or lighten it by making it entirely with 2% milk, as I usually do. Either way, it's delicious. The amount below serves 4–6 as a main course. Melt the butter in a large soup pot and sauté the onions with 1 teaspoon of the salt. When the onions are translucent and soft, add the celery and potatoes. Cook over low heat, stirring often so the butter coats everything, for about 5 minutes. Then add the mushrooms, water, thyme, and remaining salt and stir well. Cover and cook over medium heat for 15 minutes. Remove from heat and let cool a bit. Pureé the mushroom mixture in a blender or with a stick blender until it is velvety smooth. Return it to the soup pot and heat it very slowly—"with utmost care," as the Moosewood puts it—as you whisk in the scalded milk and then the half 'n half, sherry, and tamari. Heat only until hot enough to serve; if boiled, the soup will curdle and lose its texture. Serve with freshly ground black pepper and, if you have it on hand, a garnish of chives or scallions. A few thinly sliced mushrooms add a nice touch too. Lucky you to be able to get fresh mushrooms from Oyster Creek! If you don't already know them and for even more local, Casco Bay Butter's organic line is made entirely from MooMilk cream. Thank you for the tip! Casco Bay Butter is sold at the Brunswick Winter Farmers Market. I'm curious to know if ALL their butter is made with MOO Milk cream. 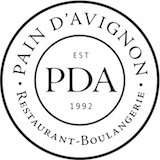 Their website says their butter is made with cream "sourced from dairy farms right here in Maine and Northern New England" -- which implies that some of it may come from other states. Which is fine, of course! I'll stop by and chat with them this Saturday -- and buy some butter, of course! I'm fascinated by what you are doing with tomatoes. I had no idea there was a "storage" tomato. Kudos to you for your efforts and for spreading the word.